2017 is Canada’s 150th anniversary and the country is gearing up for coast-to-coast celebrations! Chances are there are events in the area, but you also have the option of staging your own festivities. And what is more fun than food? As a culture, Canada tends to follow the United States in many areas, including food. However, we also have our own unique dishes and what better time to enjoy them than Canada 150? Here are six Canuck classics you can prepare for friends and family on July 1st . Poutine has become so popular, this Quebecois favourite from the 1950s is now a Canadian fast food staple. However, you can prepare tastier poutine at home. 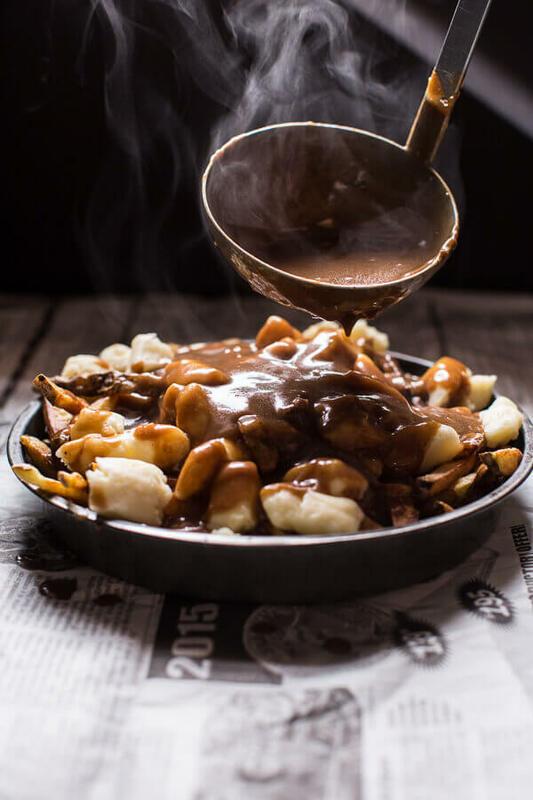 Here is an excellent recipe for poutine including an unexpected—but appropriately Canadian—marinade for the French fries. Terrific as an appetizer or the main course, split pea soup is another local classic with French-Canadian origins. Ottawa chef Marc Maron determined this delicious soup dates back about 400 years to the era of explorer Samuel de Champlain. Both his crew and Quebec millworkers regularly had split pea on their menu. It has been a Canadian staple ever since, and Maron offers a tasty and easy recipe for you to work from. An Ontario and Quebec staple, caribou stew actually has its roots in Nunavut. As caribou meat requires special ordering or a trip to a specialty meat shop, this suggestion is a bit more work than our previous offerings, but is absolutely worth it. Here is a thorough and easy to follow guide for making Caribou Stew an excellent main course for your Canada 150 celebration. Our list would not be complete without a representative dish from the east coast, so we offer the Newfoundland delicacy Fisherman’s Brewis. If you can imagine fish and pork would be two great tastes that go well together, you would be absolutely right. Fisherman’s Brewis also offers other wonderfully contrasting flavours: brown sugar, garlic, and onion. It is unfortunate that this wonderful dish is not better known in the rest of the country, so get cracking and do your part to change that. Named after the city in British Columbia, these delicious chocolate treats also date from the 1950s (though some sources claim that they are even older). Like poutine, they aren’t hard to find in stores, but are also easy to make (no baking), so why not try for you hand at it for Canada 150? Not sure what kind of Nanaimo Bar to make? Here are 10 different recipes to choose from. Given their mix of flaky pastry and sweet filling, you may have thought butter tarts came from Britain or those delightful dessert makers in the Netherlands. But you would be wrong! Butter tarts are as Canadian as maple syrup and, in fact, this is one of the reasons they are so sweet and tasty. Butter tarts are easy to make—you only need to mix maple syrup, eggs, sugar, and butter! They’re also an odds-on favourite for any gathering, so definitely include them in your Canada 150 line-up. If you’re feeling ambitious, you can make multiple kinds. Here are recipes for 20 different types of butter tarts. These are just a few Canadian classics that you can try. If your party has a theme, choose dishes reflecting the part of Canada you love the most. Good luck with your dinner party and Happy 150! Now, relax and pour yourself a Caesar (yes, we created those too) or a shot of Newfoundland Screech Rum.